Democrats are moving women into leadership roles in key party organizations, including the campaign arms for national and state races — and even in the moderate Blue Dog coalition, which will be led by a woman of color for the first time in its 23-year history. Why it matters: It's a recognition of the importance of women in the Democratic coalition — especially the role women voters played in the House midterm election victory — and a nod to the growing diversity of the party's elected officials. Republicans haven't made similar moves in their leadership ranks. These positions carry tremendous influence in candidate recruitment, messaging, and securing donations in future elections. 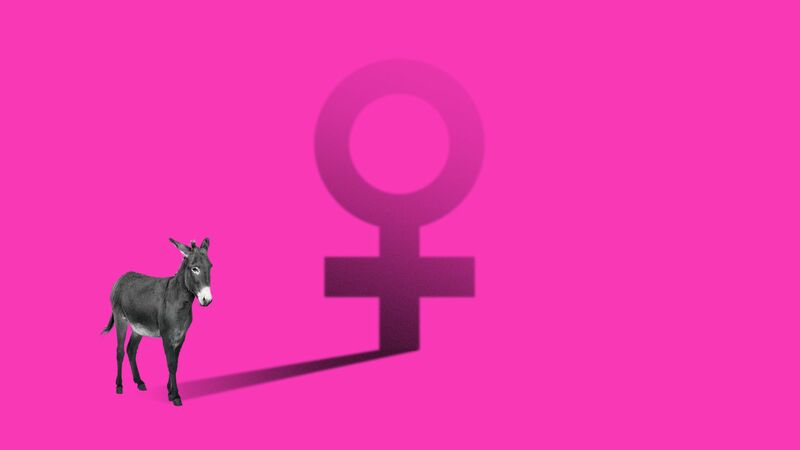 Elevating more women addresses some of the concerns from the party's base and more progressive members who want fresh faces to lead the caucus. Illinois Rep. Cheri Bustos is replacing Rep. Ben Ray Lujan as chair of the Democratic Congressional Campaign Committee, which oversees House races. She represents a district that went for Donald Trump in 2016 after voting for Barack Obama by 17 percentage points in 2012. Nevada Sen. Catherine Cortez Masto is replacing Sen. Chris Van Hollen as chair of the Democratic Senatorial Campaign Committee. She's the first Latina to lead this committee and only the second woman ever to serve as chair. Florida Rep. Stephanie Murphy, 40, is replacing Rep. Jim Costa as the Blue Dog Coalition's co-chair for administration, the group's top leadership position. She's the first woman of color to lead the coalition, and only the second woman ever to serve as a co-chair since the Blue Dog's formation in 1987. Rhode Island Gov. Gina Raimondo is replacing Gov. Jay Inslee as Democratic Governors Association chair. She's only the second woman ever to chair the group. In a call the night before the DGA’s annual meeting in New Orleans on Dec. 1, Raimondo said she celebrated Democrats' gubernatorial pickups in the midterms by calling all five of the party's newly elected women governors. California Rep. Barbara Lee will serve as the third co-chair of the House Steering and Policy Committee, which oversees Democrats' committee assignments. She lost the election for Democratic caucus chair to Hakeem Jeffries, the 48-year-old New Yorker who various Democrats on the Hill have told Axios could one day be the party's first black speaker. Oregon state House Speaker Tina Kotek was re-elected as chair of the Democratic Legislative Campaign Committee (DLCC), which oversees state legislature races. She became the first woman to hold this position when she won her election two years ago. The other side: Although Cathy McMorris Rogers, the current number three Republican in the House, is not running for House GOP Conference Chair, another woman (Rep. Liz Cheney of Wyoming) was elected for that position. What they're saying: "I think this is one of the reasons it's important to have more women overall in each party’s caucus because then the pressure is there to put women in more leadership positions," said Debbie Walsh, director of the Center for American Women and Politics at Rutgers University. "When there are so few women, as is the case on the Republican side, it’s easy to not put a woman in charge." One more thing: The appeal of women in leadership is so strong right now that Chrissy Houlahan, a newly elected Democrat from Pennsylvania, was just 12 votes shy of winning a co-chair position for the DLCC. Correction: An earlier version of this story said the Blue Dog coalition has been around for 31 years.